So... you want to be a hero? 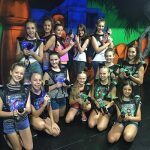 Our state of the art indoor Laser Tag arena is the ultimate test of marksmanship, heroics and teamwork. With a range of game options and being linked to a global network of Laser Force players makes this bruise-free P2P shooter the ultimate adrenalin rush. Split across two amazing maze levels, you'll have the opportunity to stealthily work your way through dense fog - but beware, hidden in the dark depths are a series of monsters and creatures that have one thing on their mind... Your destruction! Challenge yourself in our new Escape Rooms. You're locked inside of a room. You and up to 5 other team mates have to solve the puzzles in order to escape the room. 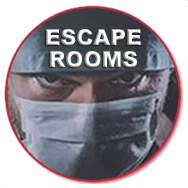 Escape Rooms are great for team building events, birthday parties, bucks and hens nights or just a fun night out with some friends. Can you and your friends follow the clues and solve the puzzle and escape the room in time? Prepare to be tested. Unlock the mystery! 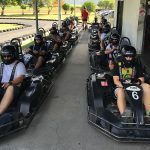 Brilliant Technologies has enjoyed the many facilities of Cairns Kart Hire on numerous occasions. We have had great success in our team building and celebratory events with our staff enthusiastic, competitive and appreciative. Only 10 minutes from the Cairns CBD is an experience that you will be bragging about for months to come! Whether it's the high octane thrills of Go Karting, the region's premier Indoor Laser Tag Arena, or to play one of our Escape Room games . . . there's an adventure for everyone!